One of my all time favourite British comedy shows has to be The Two Ronnies. At the end of each show usually they'd sign off the first Ronnie saying "It's goodnight from me." And the second Ronnie saying "And it's goodnight from him." I'll always remember that line. And that's kind of how I'm feeling as we begin this new year when it comes to social media. I think I'm going to give it a toss. Why? On Facebook I'm a little fatigued and overwhelmed when it comes to pictures and videos of co-called "cute" cats. My God, a cat's a cat. I know what they look like already and I'm aware of their moods. Why do you think I got rid of mine? Then there are the folks that keep telling me what they're eating complete with so-called "yummy" pictures. People please, you really eat that stuff? Then don't you dare share pictures of it leaving your body. Some of those things probably turn into rocket fuel once they're digested. And blogging? What the hell has happened to blogging? Well it seems all the bloggers are on Facebook sharing pictures of their cats and their dinners. The people's dinners, not the cats. Though nobody seems to be having cats for dinner. There was a time I had three blogs on the go: a music blog, a political satire blog and my humour blog. Then it dwindled to one and then that one dwindled. There's very little sense of community any more among the folks in the blogosphere. I used to join blogging communities and then after I'd invested the time and effort to stay on top of things they'd just fold up their virtual tents and fade into the deserts of the interwebs. Nowadays I pretty much blog for myself...and my mother. Just kidding. She's dead. I'm not kidding about her being dead. That wouldn't be right. But she is. Dead. But I'm sure she'd comment on my blog if she was alive. But the biggest reason I'm giving up on Facebook and blogging in 2015 is my wife. That's right. She bought me a giant pack of underwear for Christmas. She said something about the ones I sit around in all day while I blog and comment on Facebook were getting, um, she said, smelly. Now there's a vision you don't wanna concentrate on for too long. Not that I'll be posting it or anything. This week's Studio30+ prompt was "smelly". No, really, I'm not denigrating Studio30+ or anything. That really was the word they proposed: smelly. Right. Excellent and nails social media and blogging in one go...although I hope you're not leaving either. I'm cutting back to Facebook and blogging once a week. I've thought about giving up on Facebook, to be honest, but not on blogging, because I still "belong" to the book blogging community. Not on social media except for blogging. Too much of a time waster & too invasive if you actually share. I am embarrassed by the crap most people post to FB. Sorry to see you go but I understand how compelling new underwear can be to keep sweet & fresh. I'll see how it goes. We'll see how difficult it is to stay away. But I tell you I'm so tired with the drivel I see on Facebook these days. I gave up on Twitter some time ago as well as Pinterest and really never got into Instagram. I'm on ello but have absolutely no idea what to do there and I rarely visit Google+. That leaves blogging and while I enjoy writing and commenting on other blogs there are very few of the original blogs left and creatively I'm a little tapped out. I haven't heard from you in ages, my friend. Well, I'm glad you made it over before it went completely dark here. Turn out the lights on your way out, will ya? I signed up for Ello too and still don't know what it is. I'm "on" Google+, but hardly anybody is ever there except Jenn Thorson. :) Whatever you choose to do, I hope we can stay in contact, even if we exchange e-mails (whoa, talk about old school :) ). Seriously, though... enjoy your new underwear. It's a new year's resolution. And we all know successful we can be keeping those. And as for the underwear, it's really nice having more than one pair now. I think I flew over you guys on my way back from Panama. I waved. Did you see me? Well, damn! I hope this resolution fails. I will miss your blog. I can't believe you don't want to see what my cat barfed up posted on Facebook. Sheesh. Next time I'll warn you I'm coming. Noooo! Not blogging! I can understand you wanting to leave Facebook, but not blogging. I look forward to your reminders of my youth! I may not always comment, but I do read your blog. Thanks, Babs. I appreciate your support. We'll see how it goes. Right now I'm gonna take a bit of a rest. I'll read more, watch more movies and stuff and just generally re-energize. I'm glad to hear it's not definite. Enjoy your rest and come back. 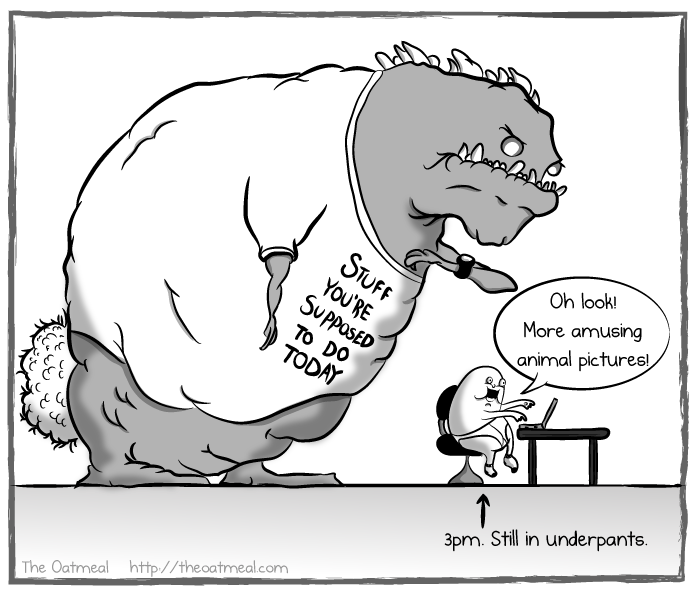 Blogging, and the complementary comment, are dinosaurs. So many writers I started out reading and interacting with, simply don't blog any longer. They are on Facebook, even interest in Twitter seems to be waning. I miss the good old days. I hope you don't stop blogging too. But, as always, I love your humor, your perspective. I miss those days too Tara. I'm going to give things a rest and see where i'm at somewhere down the road. Maybe I'll write book...yeah, right. Yeah, it's so nice to have friends who'll miss me, Kir. We'll see how this sabbatical goes and how long it lasts. Say it ain't so, Dufus. Well, I'll miss the quips and your golfing photos. I was hoping we'd get to see you in the small blogging challenge I am running this month. I get your feelings on the community aspect of blogging. Sometimes it's there, sometimes not so much. I do enjoy it still and will plod long, but I do wish there was a little more give and take (and I'm as guilty as others with it). Hopefully, we'll see you back. I sense there's a general malaise among folks. Not sure why. There just is. I have missed visiting your blog. I started my blog for me and discovered that a lot of people like the same things I do. I also met a whole bunch of really cool people along the way. I noticed that a number of these people do not write as much as before. I was publishing ten times a month. Now I am lucky if it is once per month. I know I will go back to it - when I need to write something for me again. I don't know if these things come and go in cycles but it seems blogging is at a very low end of the cycle right now, Shawn. I'm with Babs on this one--please stay if it makes you happy. I do read your blogs but rarely comment because of an extreme lack of words and fatigue that's gone from bad to worse over the past year. And that's pretty much where I'm at, Cheryl. I'm beset by an extreme lack of words and fatigue. My level of creativity is practically at zero. I'm skimming Facebook now and then but posts are at a minimum as are comments. I need a rest. Oh that was a bummer.